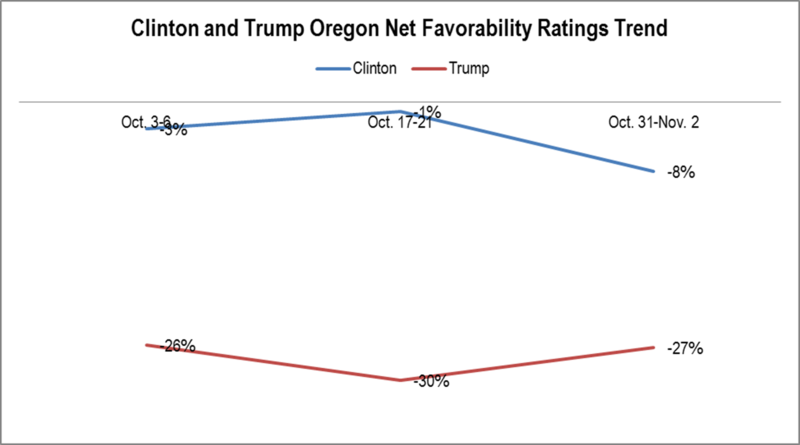 Both Clinton and Trump had net negative ratings. 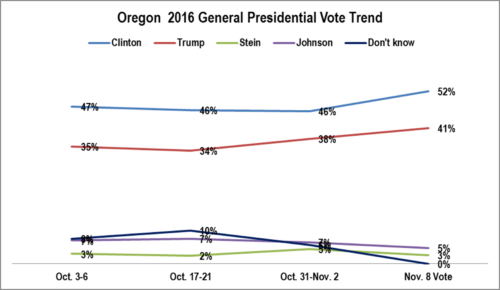 Clinton’s remained above Trump’s throughout. 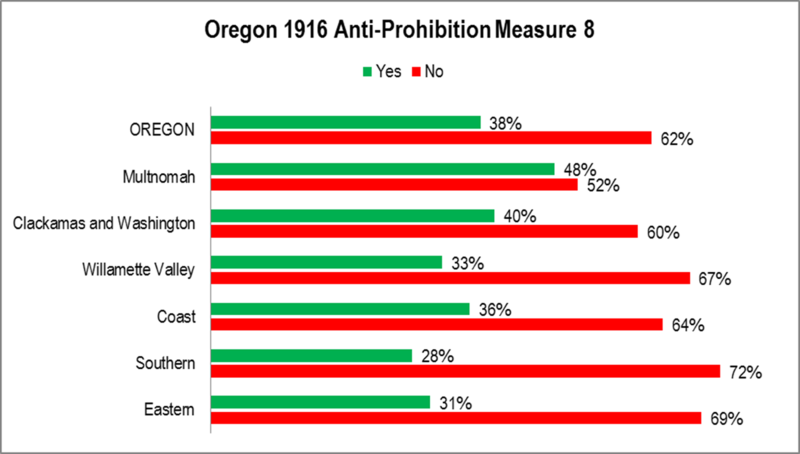 Despite Oregon being a blue state, Hilary Clinton’s negatives were never below her positives. QUESTIONS: Now, I am going to read the names of some people. Please tell me whether you have heard of each. IF HEARD OF … Do you have a favorable or unfavorable opinion of Hillary Clinton? IF FAVORABLE OR UNFAVORABLE: Is that strongly or somewhat? 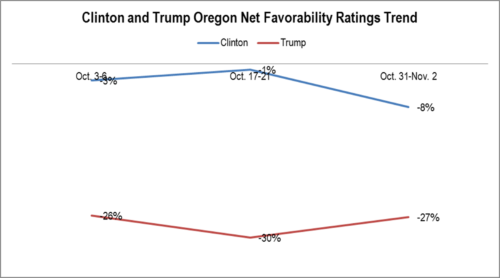 Trump’s favorability rating remained constant and very negative among Oregonians during the last five weeks of the campaign. QUESTIONS: Now, I am going to read the names of some people. Please tell me whether you have heard of each. IF HEARD OF … Do you have a favorable or unfavorable opinion of Donald J. Trump? 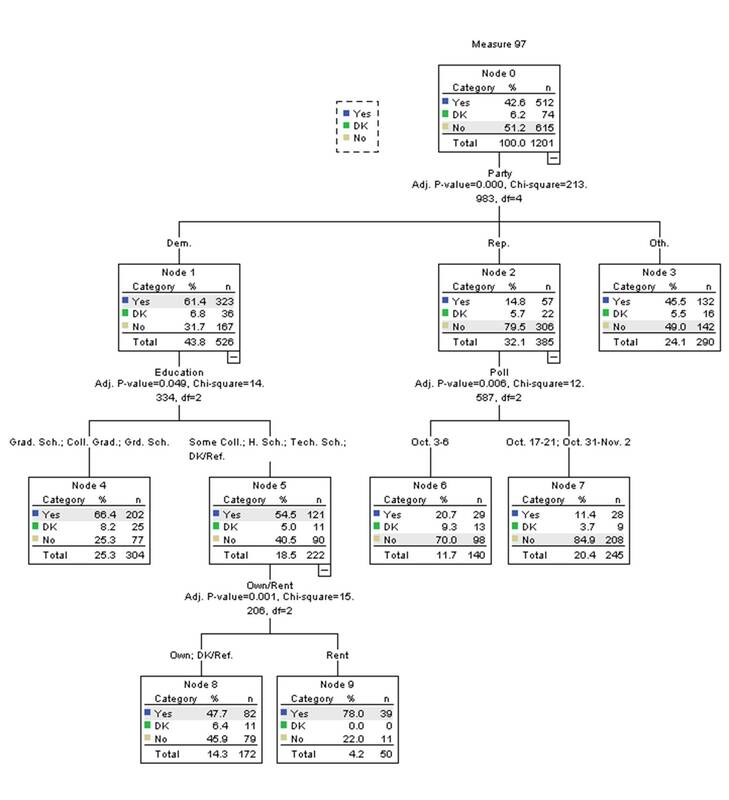 IF FAVORABLE OR UNFAVORABLE: Is that strongly or somewhat? 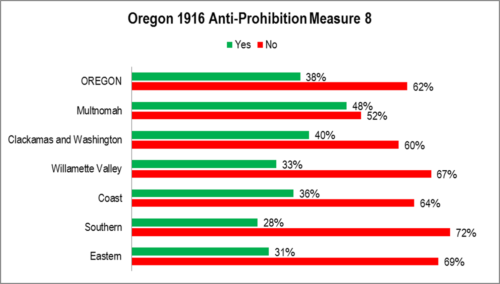 As one would expect, party was the primary determinant of voting. Other key demographics were education, age, and gender. QUESTION: If the election for President and Vice President were held today, would you vote for Donald J Trump and Mike Pence, Republican, or Hillary Clinton and Tim Kaine, Democrat, or Jill Stein and Ajamu Baraka , Pacific Green, Progressive, or Gary Johnson and William Weld, Libertarian? Political party was the single best determinant of support for Measure 97. 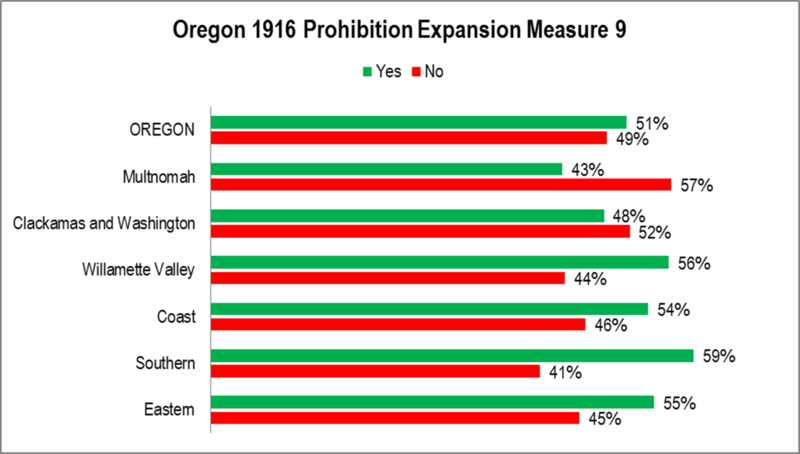 Interestingly, the drop in Republican support paralleled the drop statewide that signaled the measure’s defeat. 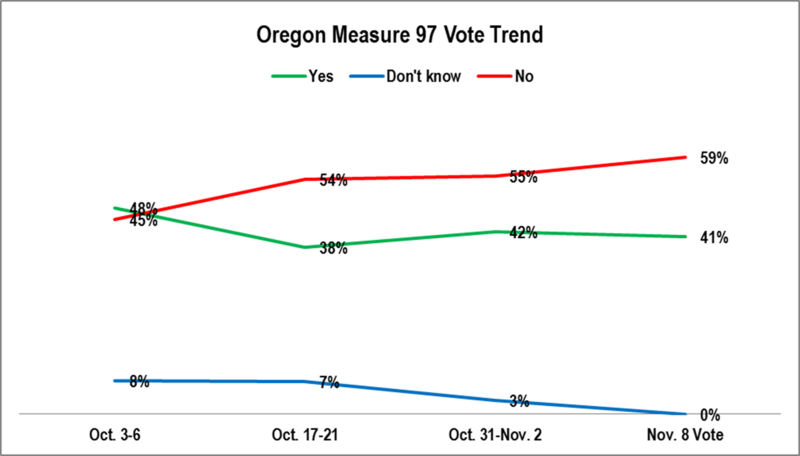 Support for Measure 97 dropped rapidly once the campaign began and remained around 40% for the duration. Clinton’s advantage remained relatively steady over time. 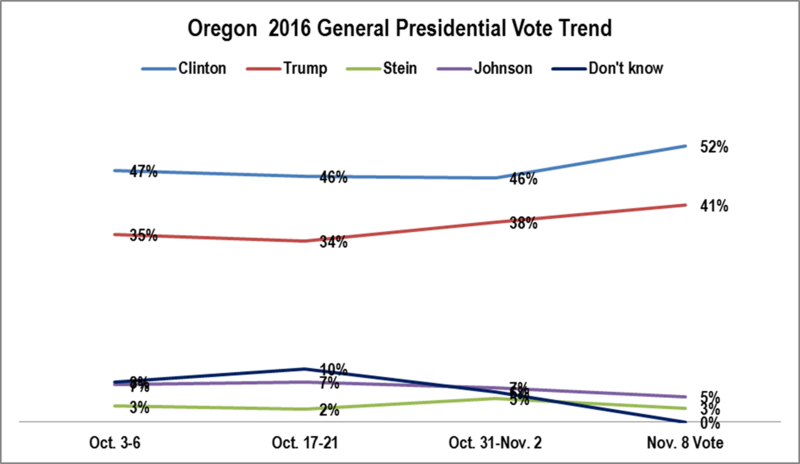 This blog is going to begin a series of posts based polling data collected during the 2016 Oregon General Election. 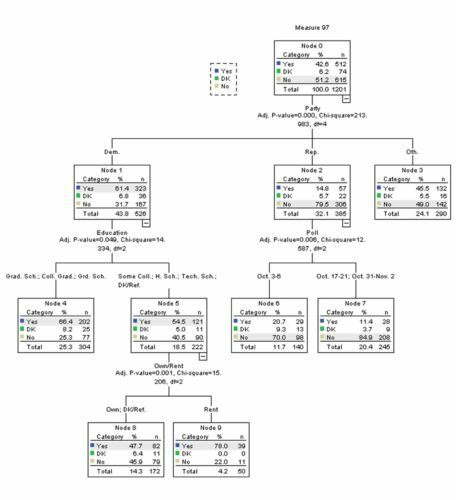 We will present the most prominent and interesting polling numbers first. Less prominent contests will come later – many in 2017. 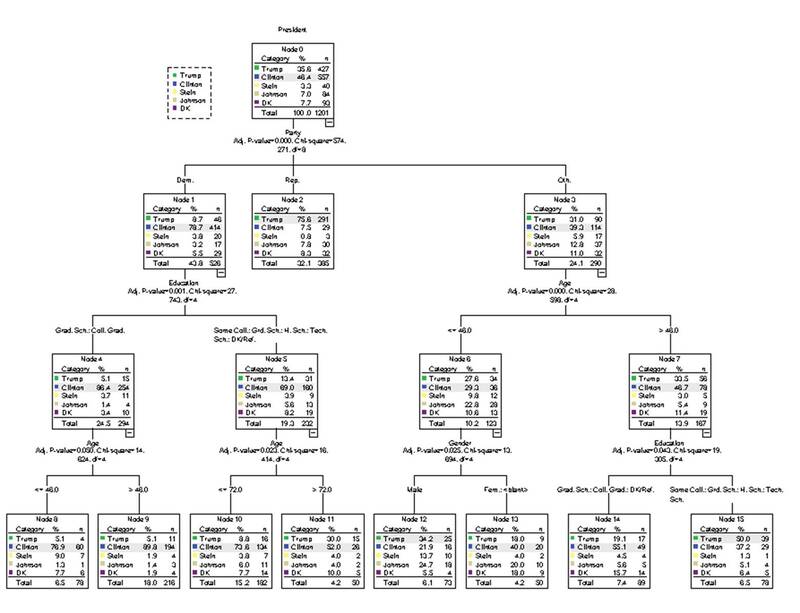 We believe these analyses to be accurate. 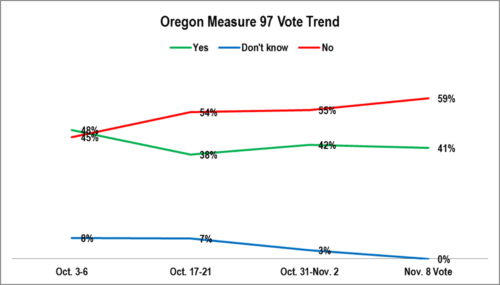 Though the headlines this year emphasize the inaccuracy of polling, our polls, just as in 2014, the firm’s polling correctly called every 2016 Oregon statewide partisan and measure contest. Although not a foolproof measure of accuracy, it is best assurance we can offer.